Description: Newly offered for sale by Classic Pianos Bellevue is this Yamaha C6X professional grand piano. This piano was specifically chosen for use by the Metropolitan Opera House in New York City. The Met used this piano for two years as a part of their piano performance program. 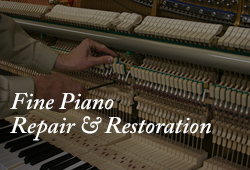 The Met holds an extremely high standard for the acoustic quality and action performance of their pianos. The C6X was a great match for them. At 7ft in length, utilizing Yamaha’s performance action and CFX hammers, this is a versatile powerhouse of a piano. It is able to project a large impactful tone filled breathtaking bass and colorful treble, while also capable of very delicate playing with nuance in tone that is difficult for many pianos to achieve. This piano is a joy to play for even the most demanding pianists. The Met employs some of the most talented piano technicians New York has to offer, which has kept this piano in great playing condition. 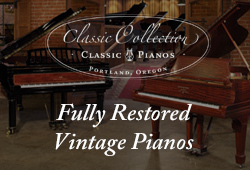 Once received by Classic Pianos Bellevue our skilled staff of piano technicians and finish specialists refurbished this piano to look and play like new. This is a great opportunity to purchase a Yamaha C6X at a heavily discounted price. 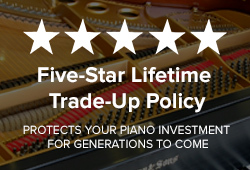 This piano will be sold with a Yamaha 10 Year factory warranty.